I had planted lettuce in this particular pot. The lettuce died and I replanted it and it never returned. Next to this lettuce I planted Oregano in another pot. So instead of lettuce this plant has shown up in the pot. The Oregano that I know is planted is not coming well. We have had major wind storms, rain storms, and heat around here in the last month. It smells peppery and my Mom ate a leaf(not under my advisement but she is fine, it was 3 days ago.) She said it was peppery. 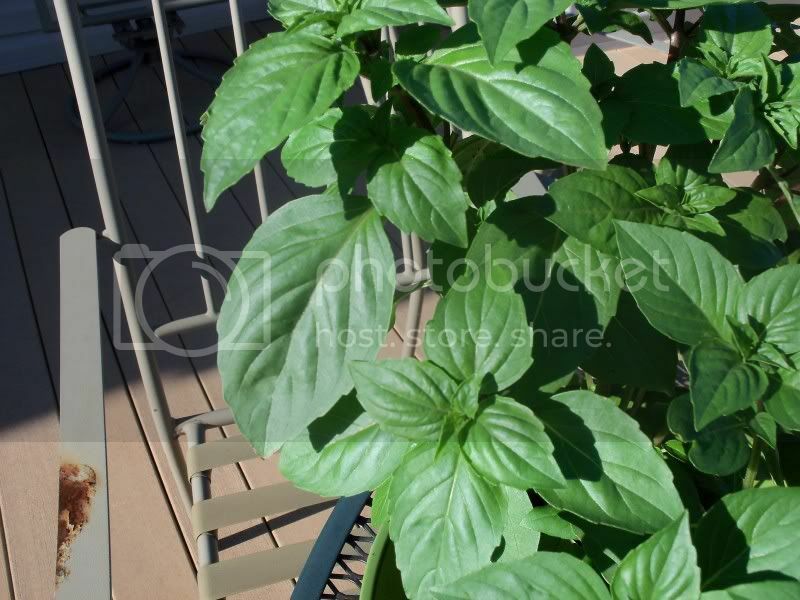 I have basil planted but it is way in the back, not any where near these pots, so I know it is not basil, even though it looks similar. Today I noticed a change in color of the stems to purplish like oregano and the leaves are curling up some like pics I have seen. These pots are on my deck. The basil is in a planter in the garden way down at the end of the yard, which we have a ton of! I trim it comes back wonderfully. Great crop of that! So I know what that looks like and it does remind me of basil too but more pungent. They are not near each other. I am thinking because of wind when I planted both pots at the same time, I think the lettuce got taken over by some of the oregano seeds. I am so confused and I don't want to throw it away if it is Oregano because the rain drowned my other seedlings. This is my first year growing a garden so you have to excuse the novice. Yes, basil. Definitely *not* oregano, which has much smaller leaves on much woodier stems. Agree with above. 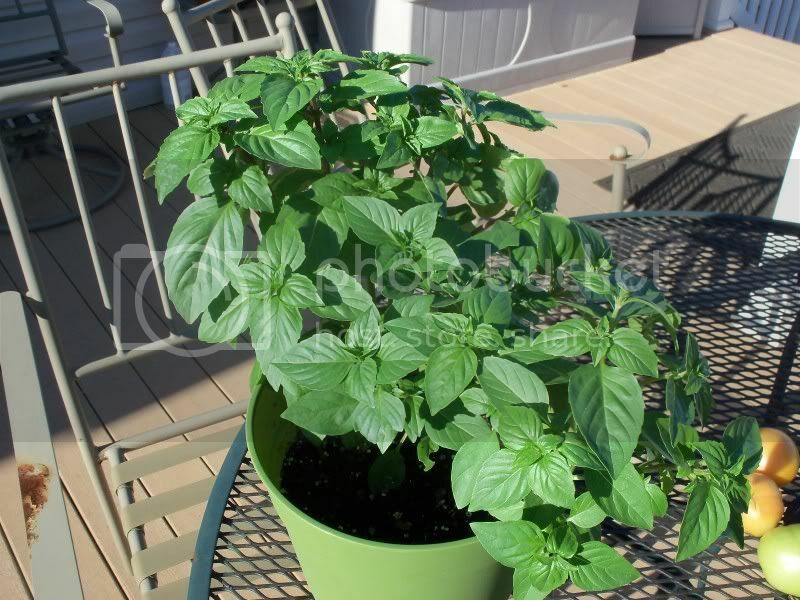 There are many different basils - lemon basil, cinnamon basil, Thai basil, etc. So the different flavor probably means it is a different variety of basil. I agree: not oregano and definitely basil of some kind.